Whether you are a new or experienced parent, having a pediatrician that you know and trust is incredibly valuable as you welcome a new baby to your family. When making this important decision, it’s important to think about both the doctor(s) in the practice as well as the nurses and the office staff. Often, you will find that the other people at your pediatrician’s office are as important as your doctor is to ensuring you are able to take care of your child. Interview pediatricians. Ask for their qualifications, philosophy of care, and office and on-call policies. Who can care for your child when the practice is closed? Is there urgent care? Are there other doctors and nurse practitioners in the practice? 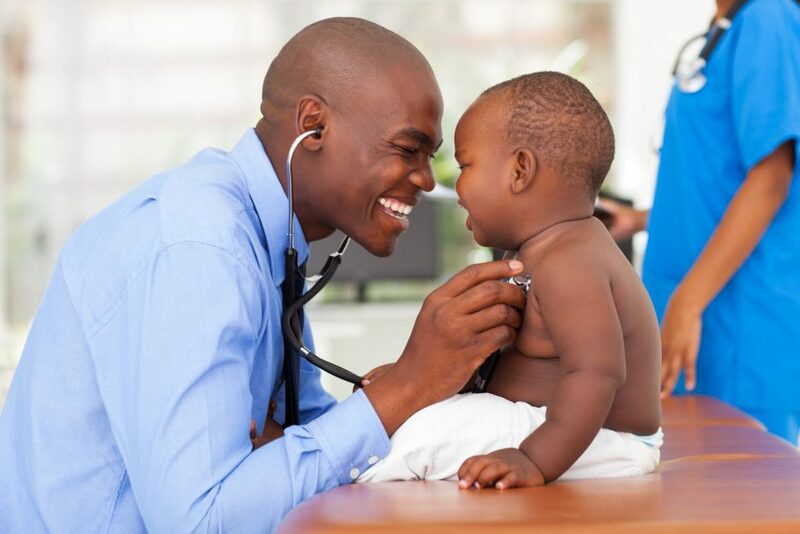 When your child is sick and in urgent need, he or she may see another doctor or nurse practitioner in the office. Ask how the practice handles these needs before you face an emergency. While there are benefits to having a single doctor care for your child, a team approach may mean there is more scheduling flexibility for you. While your child’s pediatrician is very important, the other doctors and nurse practitioners that are in the practice will still play an important role when your child is in need. Talk to family and friends who already have kids. Ask them what their experiences are with their doctors and if they would recommend their practice. Confirm that the provider accepts your insurance. After the child is born, check your choice by watching the doctor’s interaction with your child. Your child’s doctor will see your newborn as early as the day he or she is born, in the hospital or in his or her office within the first week. Pay close attention to all bills that come from your health care provider and call the office if there are any discrepancies or if you have any questions. Many pediatricians’ offices provide a nurse advice phone line. When your child is sick, a call to the advice line can help you determine if you should take him or her to see the doctor. Another option when your child is sick, the office is closed, and it’s not really an emergency is your local Urgent Care Clinic. Sometimes, these are affiliated with the local Children’s Hospitals. Check where to go when your child is well to learn what the best options are in your area. Listen to your instincts. If you don’t feel comfortable about your experience, go elsewhere.